Hi! I am Debi in Tacoma. Used to have a 1997 ACE 1100, sold it to buy a VTX1300r, sold it to pay taxes and bought the current Shadow. I now have a 1995 VT1100c that I bought last month. It is currently teal and black, but I would like to make it red. If any one wants to swap tins, let me know. Mine are in good shape, one minor scratch that I will try to buff out this weekend. Ride as much as I can, or as much as my back will let me. 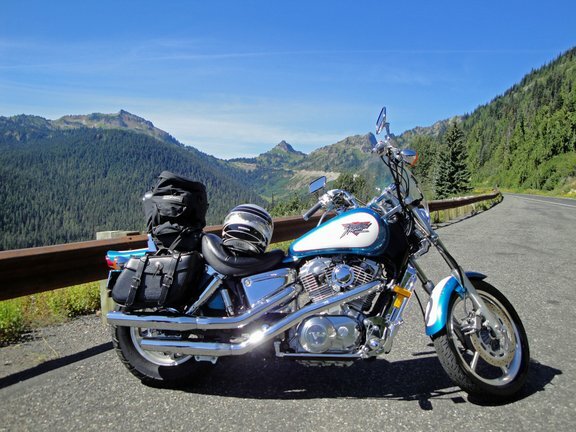 Hello - nice to see another rider from the "dry-side"
I was born in Arlington, raised in Spokane. Lived in Seattle,Tacoma,Everett area from 19 yrs old til I was 39. I moved to NW Texas / SW Arkansas, let me tell you , it rains a a whole lot more here than it does in Western WA. * Texarkana, TX is wetter than Seattle, WA by 13.0 in. My name is Patrick and I ride a 2001 Shadow 1100. It is red now, but hopefully by next season it will have new color and some mods. My wife Summer and I try to ride every chance we get, but with 3 young daughters and two businesses to run, "every chance" doesn't happen as much as we'd like. We have never ridden with a large group but would love to. Davenport, I lived in Reardan growing up. (early grade school). 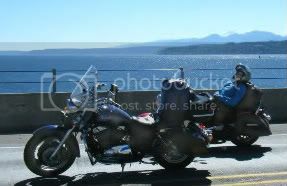 My Brother Randy lives in Spokane, He rides a VLX, or a VTX1300 or a Valk. whatever he fells like riding . I have a Sister that lives in Spokane also . Another from the dry side here...Just recently moved back from Virginia and living in Prosser,Wa. Beer is proof that god loves us! Scott in Troy, Idaho here. If anybody ever finds themselves by Moscow/Pullman or in the Lewiston/Clarkston Valley, give me a holler! When The Knock On The Door Said Alcohol, Tobacco, and Firearms, I Naturally Thought It Was A Delivery. Dave and Sarah residing in Brier; just a stones-throw from Lynnwood. Hey Scott, We took a trip out your way in August with overnights in Pullman, Sandpoint and Omak. The Lewiston grade is a real vertigo rush on a bike, and Idaho highway #3 is real pretty. I've been lurking on this site for years getting maintenance tips to keep our bikes running. It's good to stumble on this link of local Shadow riders. A get-together would be great, count me in. Hey Dave, you're just up the hill from me. My son went to Brier Terrace MS. We're just around the corner from the Gloria Dei church off of Larch. Might just have to hook up some time when the weather gets better. My wife also has an '85 VT700. She loves it! Hi Trevor, It's good to hear from someone in the nieborhood! Definitely we are up for a ride. We try to get out every two weeks or so to keep the gas fresh. Drop me a PM if you have a ride in mind. I'll do the same. 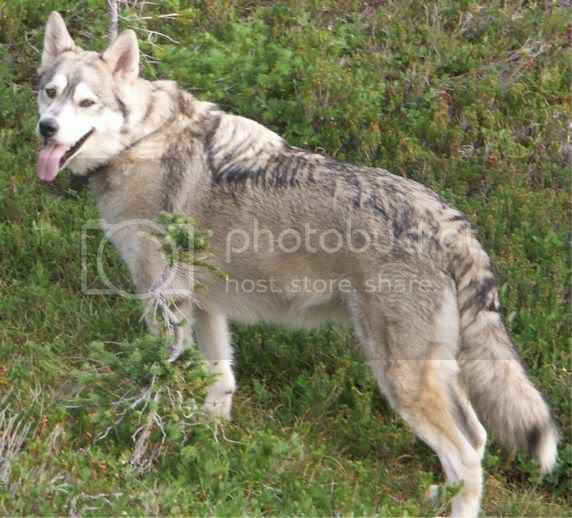 I like your wolf picture. Here is a picture of our baby! Can we plan something for Spring? Pass will have to be open... Maybe Yakima? Ride up to Leavenworth or something together? I rode with my church group to Sunrise on the east slope of Rainier... That was a blast. Let's talk it over before the next riding season starts. BTW, I'm in the middle of a fuel pump replacement after only 35,000 miles on the bike. Pump by Mitsubishi... seems like it should have lasted longer... bummer.